Are you in need of a strong, stylish, and long-lasting flooring material for your new construction or home remodeling project? Stop by our flooring expansive showroom to check out our wide selection of ceramic tile flooring options. With so many choices you are sure to find the floors that meet your needs in appearance, price, and lifestyle. From your kitchen to each bedroom in your home, ceramic is an ideal flooring choice for any room. Discuss your needs with our flooring experts who are always happy to help you choose the perfect ceramic tile floor to suit your needs and budget. After purchasing your gorgeous new flooring material, be sure to schedule ceramic tile flooring installation with our skilled installation specialists to protect your new investment. We have many years of experience in using the most effective methods and materials so your ceramic floors last for many long years. Plus, we are happy to guide you every step of the way—from selection to design to installation. Why Choose Ceramic Tile Floor for Any Room? In the recent past, ceramic tiles were seen as a flooring option suited only for the kitchen, laundry room, or bathroom. Fortunately, modern innovations in ceramic tile design make it possible to enjoy this versatile and stylish option in any room or environment. Because a ceramic tile floor is able to mimic a variety of natural and man-made materials, it’s the perfect choice for someone who loves the look of one material but dislikes the maintenance, price tag, or other features. The quality of your new floor installation is every bit as important as the quality of the flooring you buy. After purchasing your gorgeous new flooring, the last thing you want is to install it improperly. Poorly installed ceramic tiles can crack, break, let moisture into the subfloor, and simply look unattractive. Be sure to schedule ceramic tile flooring installation with our skilled and experienced installers in order to prevent future repair or replacement costs. We have the skills and tools needed to properly install your new tiles so that they’re sure to look great and last far into the future. Cleaning up is virtually maintenance free when you install ceramic tile flooring throughout your entire home. With ceramic floors, you don’t have to drag out your heavy vacuum and endure the loud roaring noise—you can simply mop your ceramic floors with a basic cleaning solution once or twice a week. Treat your lungs to all the benefits of ceramic tile flooring. In addition to its easy maintenance routine, ceramic tile floors are great for people who suffer from allergies, asthma, or other respiratory problems. Since there are no fibers to trap dust, dander, and pollen with, these irritants are cleaned up much easier than with other types of flooring. 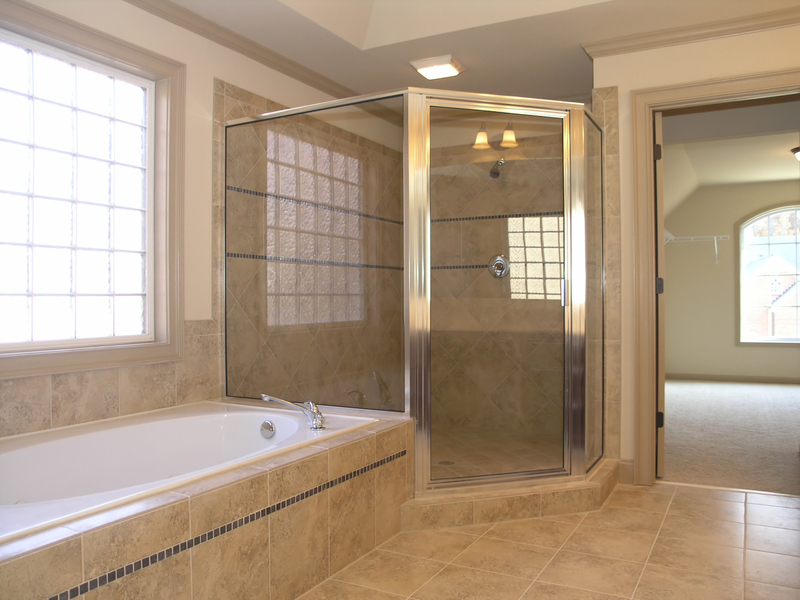 Contact us when you’re in need of high-quality ceramic tile flooring for your home remodeling project. We’re proud to serve customers located in the New Hyde Park, New York, area.